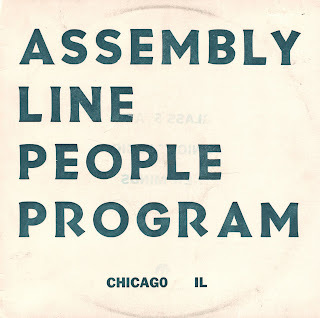 I always heard good things about this band, but if you didn't live in Chicago or London their records were impossible to find. I found all the English records in (wait for it) London, and I found the other one in Los Angeles (all roads lead to Amoeba, eventually). I am not sure how Graham Coxon found them, but apparently he did. I never asked Michael about that for some reason. Or maybe I did and forgot. Who knows? 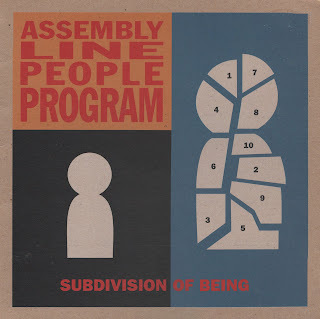 Ladies and gentlemen, for your listening pleasure, a few records by Assembly Line People Program. An old band I was in played with them once, and it was unbelievable - more Trenchmouth than Trenchmouth. I'm glad you collected all their recordings here, as they can be pretty hard to find. Do you remember Hex Error, the band they had after this one?